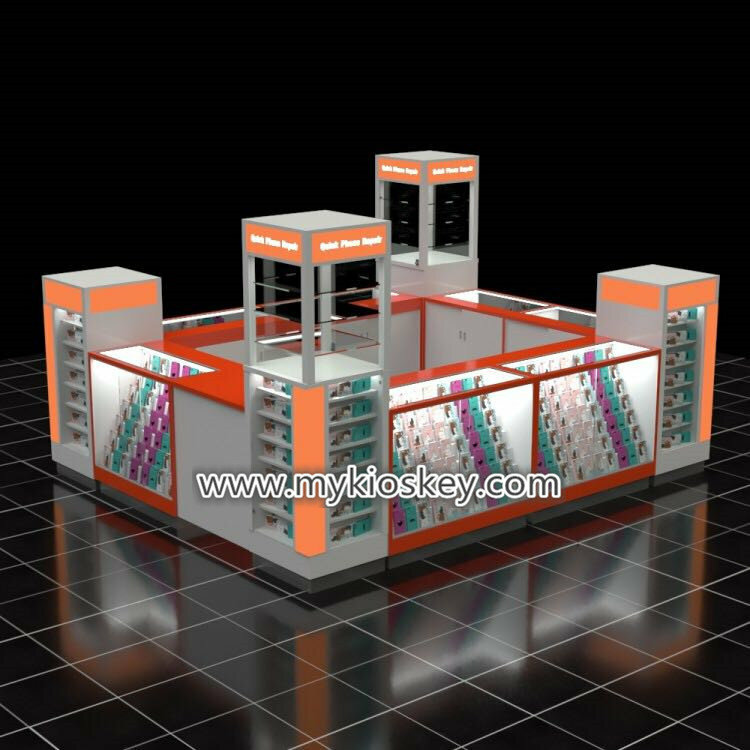 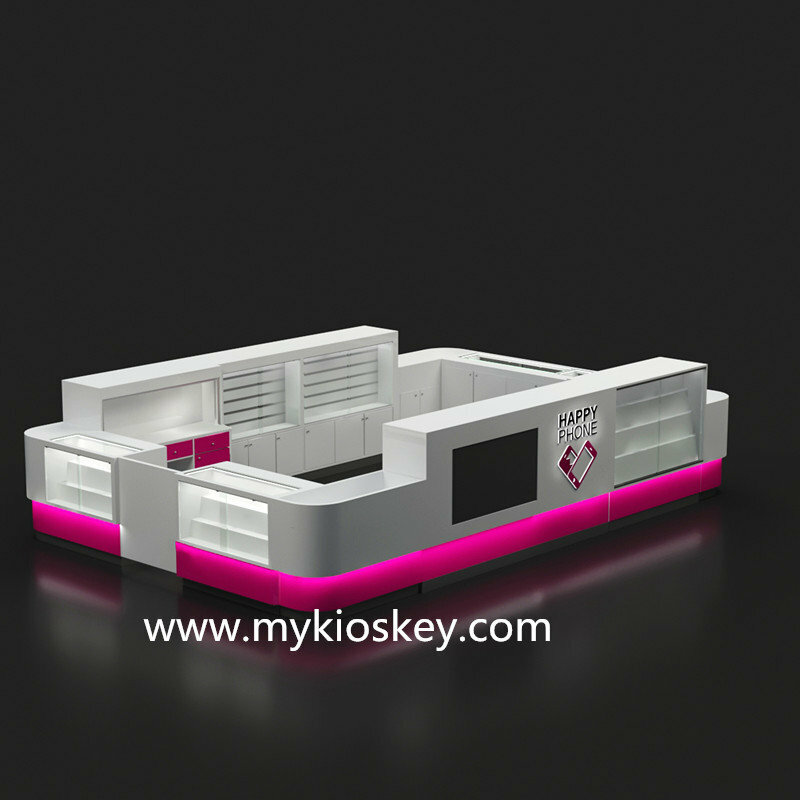 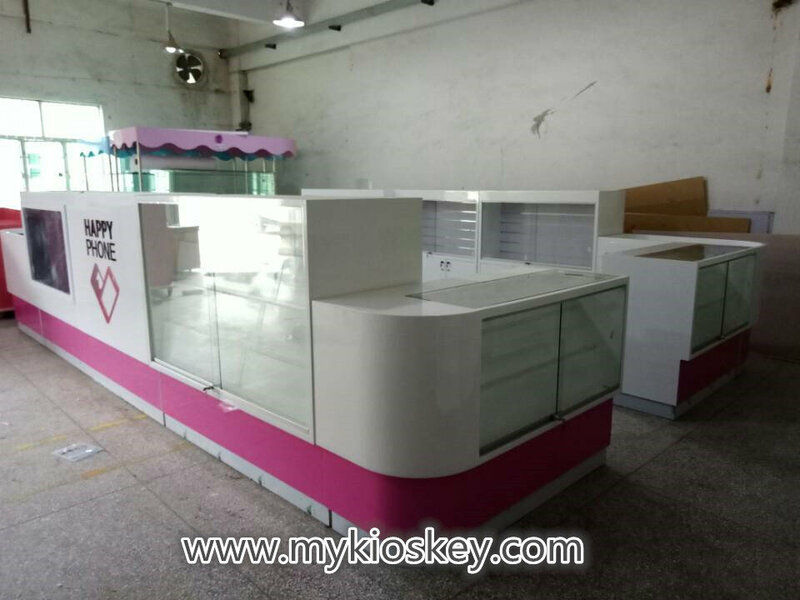 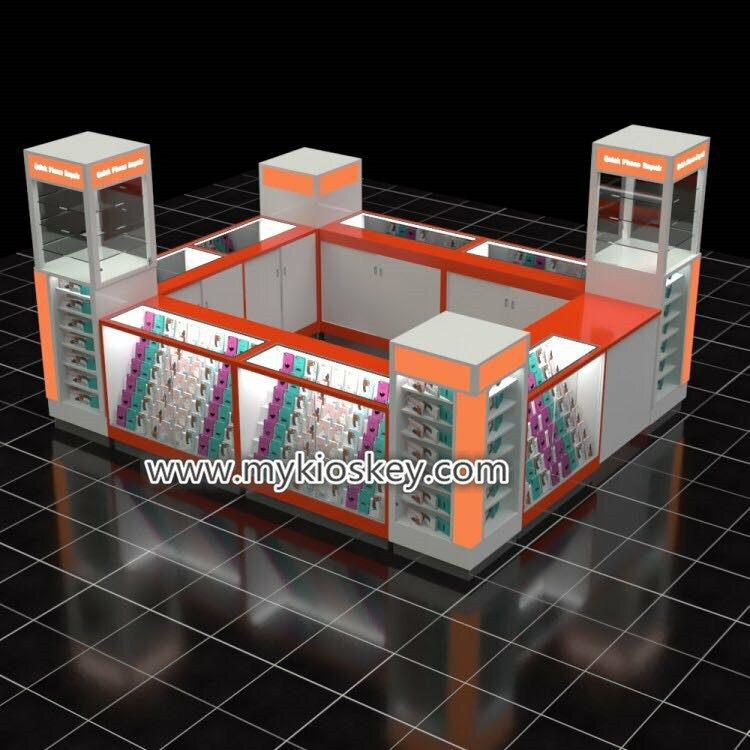 When you walked in shopping mall , you will saw many different kinds of kiosk and display showcase , such as food kiosk , jewelry kiosk , cosmetic kiosk , phone kiosk . 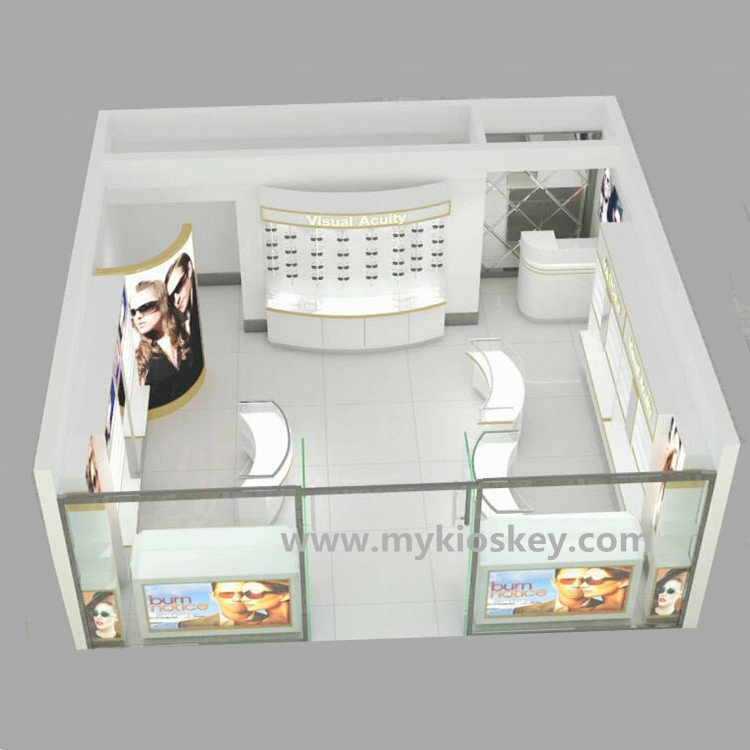 watch kiosk and more . 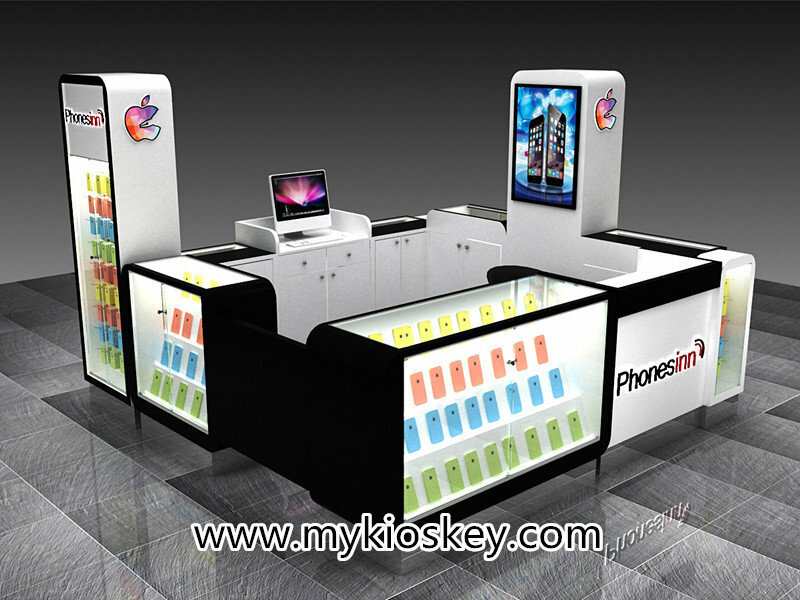 Today I want to introduce a very modern mobile phone kiosk. 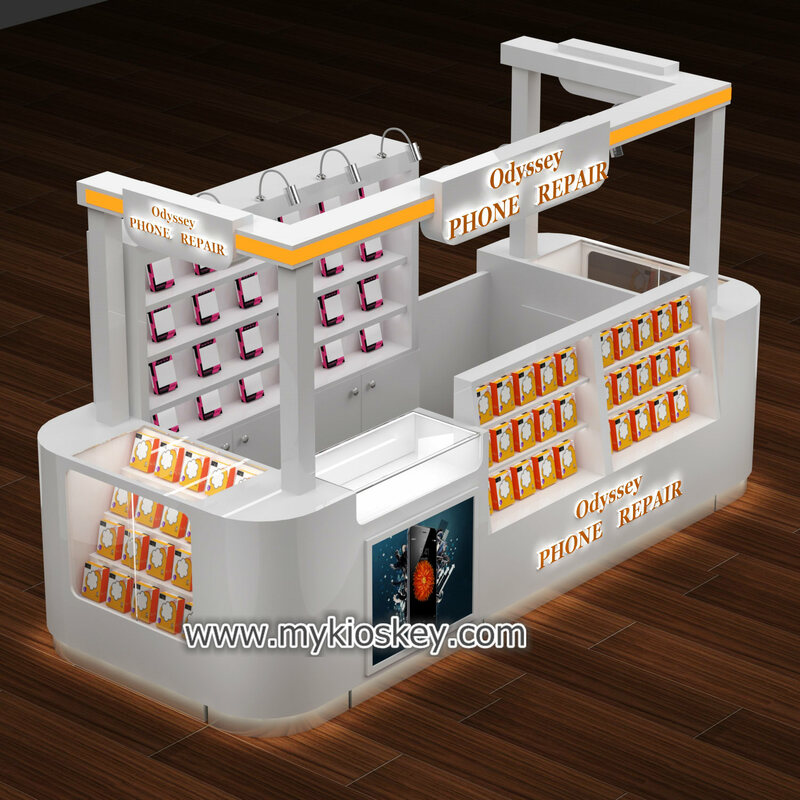 if you also interested build your own phone store , pls follow me see more details at below . 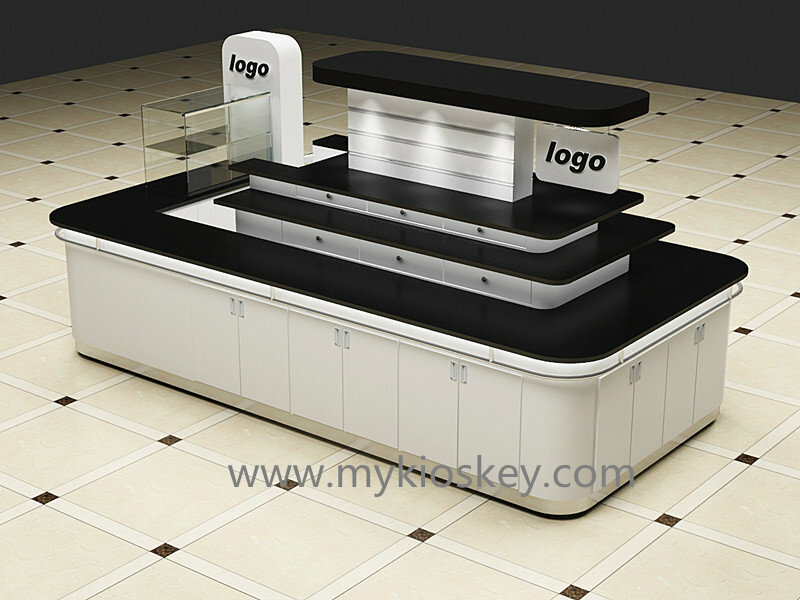 Skirting : stainless steel with white led light strip . 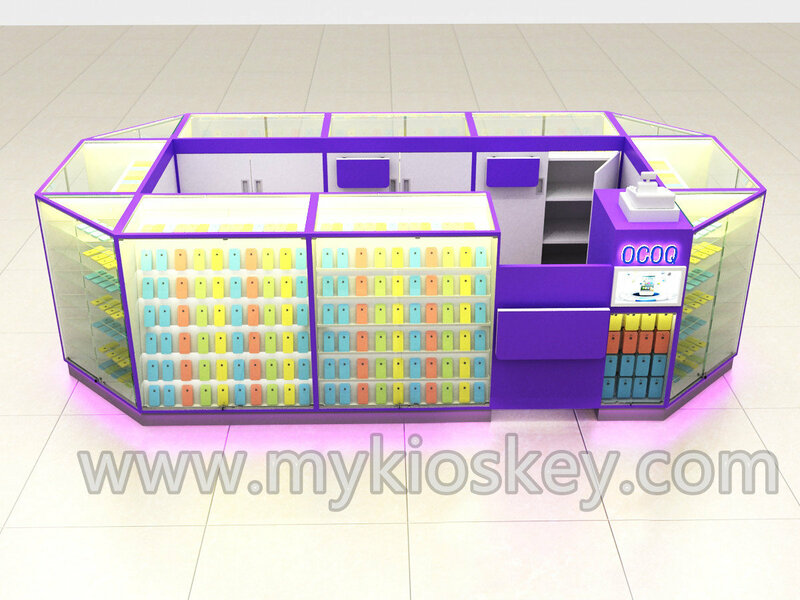 You can see this kiosk mainly tone is white and purple , basic material is MDF , surface is baking painting finished , is very simple and modern . 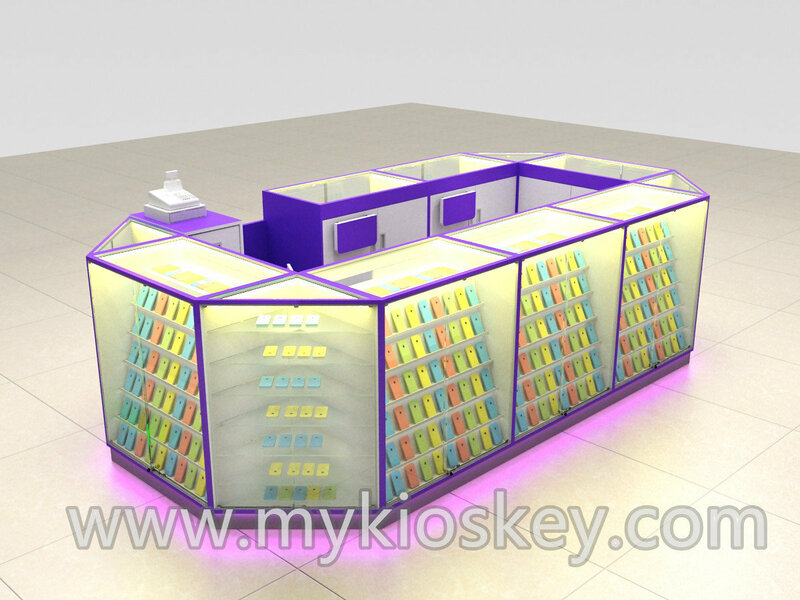 surface of this kiosk we choose Ladder to show. 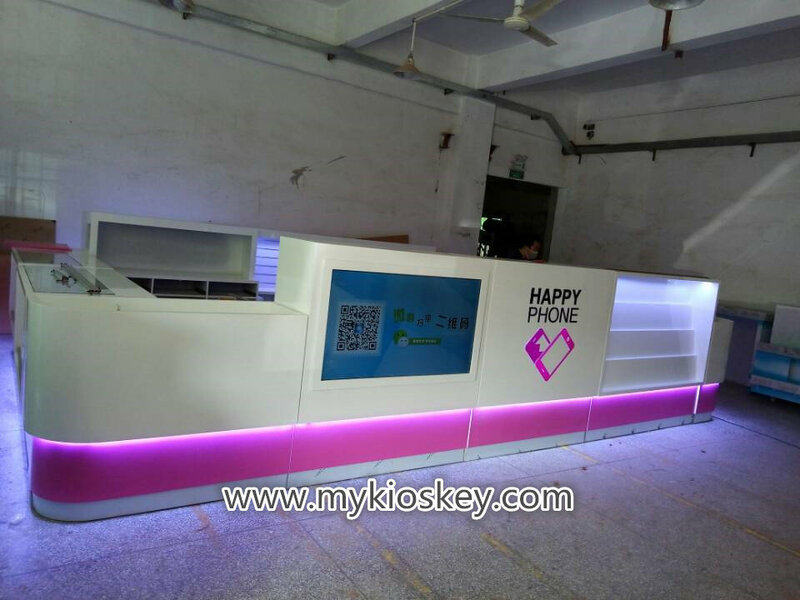 inside with Aluminum channel plate display and phone repair counter .each display all hidden led light strip , looks very nice and bright . 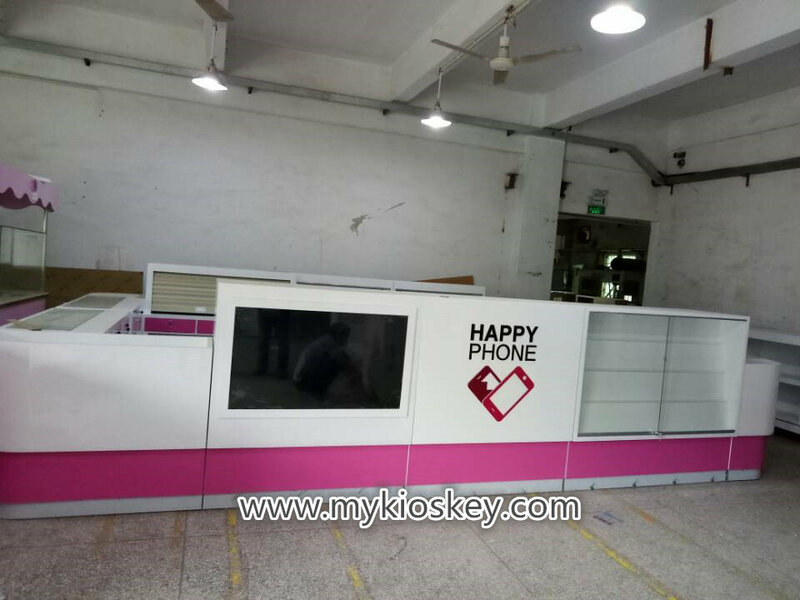 If you plan start your mall phone kiosk business , below is some necessary step . 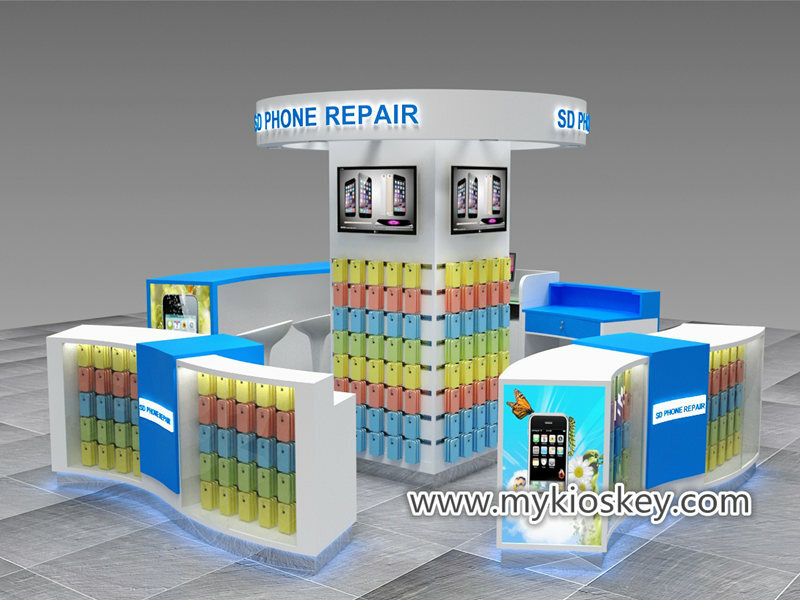 Thanks for your time and reading , hope this article has been helpful to your business．if you interested build your mobile phone kiosk or other mall business , pls not hesitate contact us now , we have our professional design team can help you make a unique design . 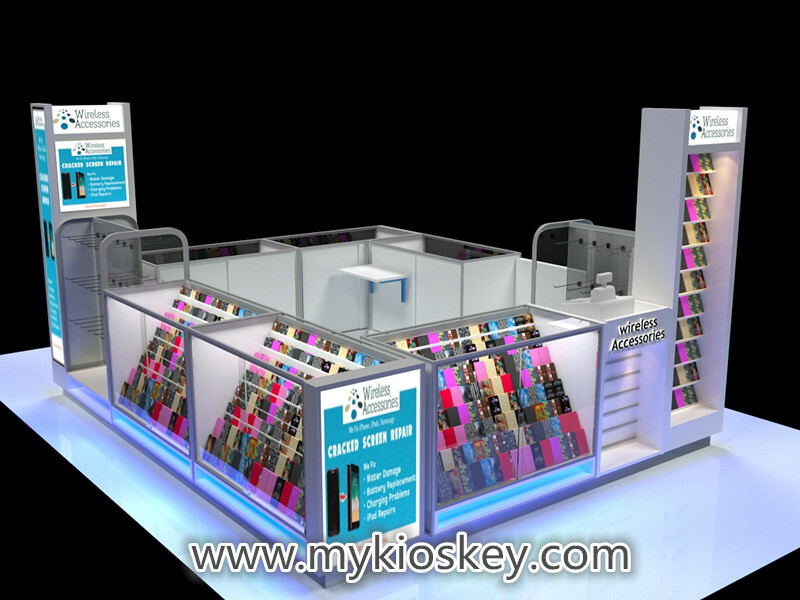 of course if you have ideas and have own design , we also glad to give you some suggest and help you production it . 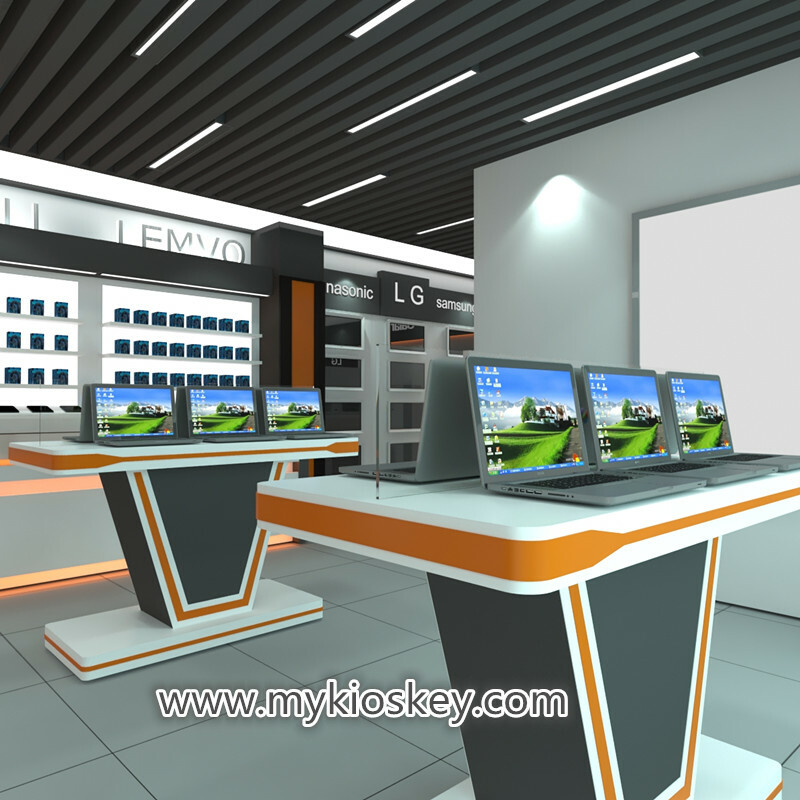 Look forward to further cooperatio .